While on vacation this past May, we had a very rainy day and I decided to work on a collage quilt using ideas I'd picked up from doing an earlier collage quilt(Old Blue) from a pattern by Laura Heine. 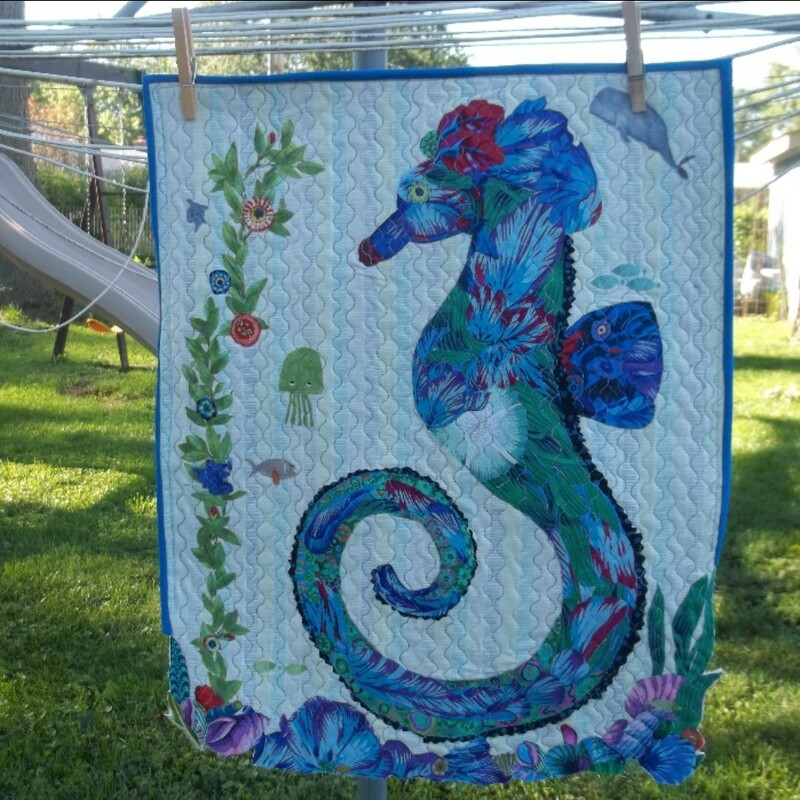 I sketched up a seahorse and purchased fabric and Steam A Seam2(Essential items for this project) and got to work on it. I made a good start and worked on it again when I got home. Due to other projects, I didn't completely finish it, including binding and quilting until these past few weeks.